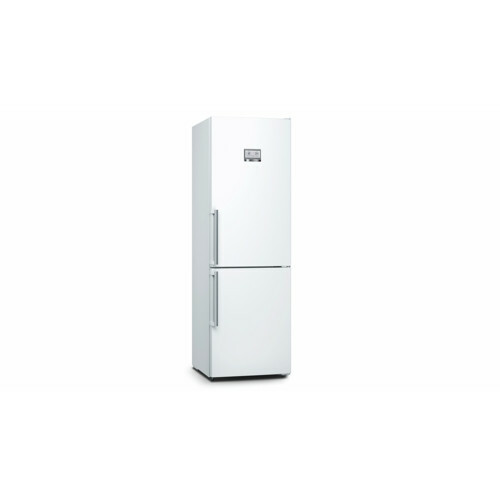 This tall and slick White Bosch Fridge Freezer will stand tall in your kitchen and offers all the refrigeration features that you may need. 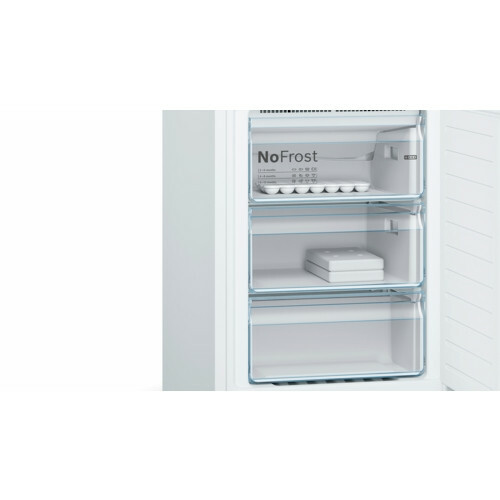 This well thought out fridge freezer has great features like the airFresh Filter, which gives food the best conditions to stay fresh, the easy clean design making it simple to keep your interior clean, door storage for utilising all the possible space, a fantastic innovative SuperCooling function and No Frost technology in the freezer which keeps your freezer ice-free. 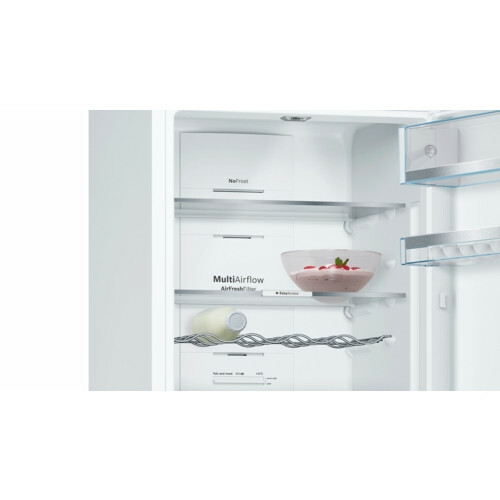 Premium LED illumination: Dimming, uniform light inside the refrigerator compartment from both the top and side, lasts for the life of your appliance. 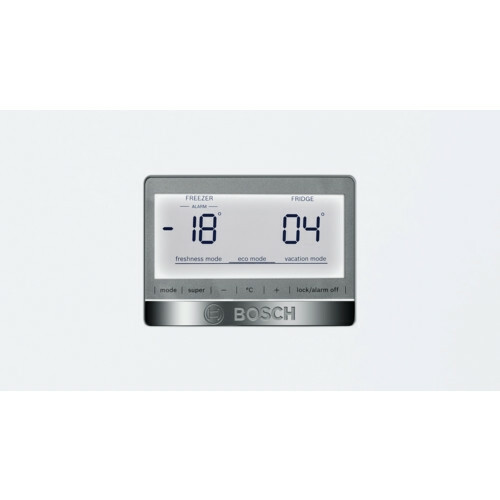 Bosch has been around for over 100 years so you know this is a brand that you can trust. 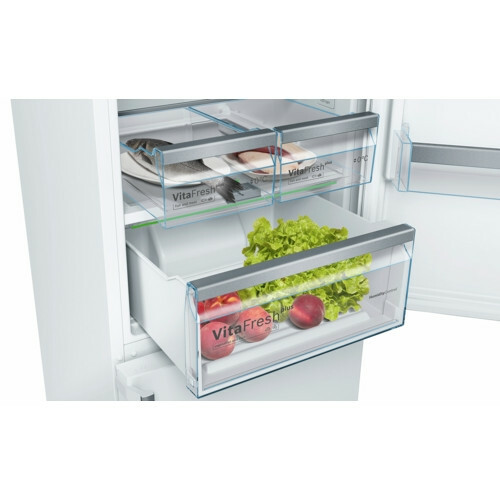 1 VitaFresh Plus drawer with humidity control. 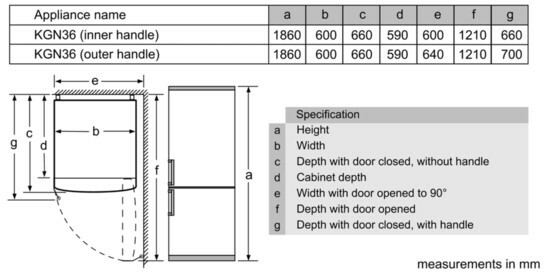 Fruit and vegetables retain vitamins and last twice as long.